AC Milan are reportedly looking to secure the long-term futures of key pair Giacomo Bonaventura and Suso with new contracts being touted. 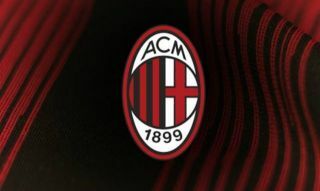 The Rossoneri have impressed so far this season, as they bounced back from their disappointment against Napoli with a win over Roma at the weekend. Bonaventura scored in that opening game against Napoli, while Suso continues to be a key creative spark for Gennaro Gattuso’s side as they’re both instrumental in the Italian tactician’s desire to play more expansive and attacking football. In turn, they’ll be eager to ensure that they remain at his disposal for the foreseeable future, and so as per Calciomercato, Bonaventura is said to be closing in on a renewal with a meeting scheduled with his agent, Mino Raiola, next week. The 29-year-old has been one of the more consistent performers for Milan since he arrived from Atalanta in 2014, and so the club will undoubtedly be eager to extend his stay and ensure that he continues to play a fundamental part in their pursuit of Champions League football. Meanwhile, the same fate could await Suso, as Calciomercato add that the Spaniard is being paired with signing a renewal too after a meeting was held last month between the relevant parties to clarify his future. Similarly to Bonaventura, given the important role he has to play in the current side, it would make sense to secure his future and so time will tell if an agreement is reached. Milan will be desperate to break back into the top four in Serie A this season as they’ve continued to miss out on a place at Europe’s top table in recent years. Along with Hakan Calhanoglu, Suso and Bonaventura will play key roles in providing the creativity and quality behind Gonzalo Higuain, and so securing their long-term futures will surely help them focus on matters on the pitch to continue to push Milan in the right direction.